Sorry for the radio silence. I've been madly prepping for the Fall leg of the My Friend Dahmer book tour. 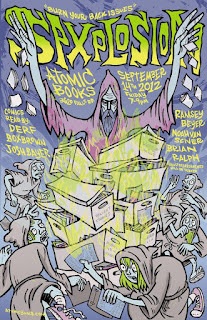 First up is the SPX Comix Fest in DC, this coming weekend, Sept. 15 & 16. If you're anywhere near the nation's capital, this is not an event to miss for comics fans. And what a line-up of heavy hitters! Dan Clowes, Chris Ware, the Hernadez Bros., etc, plus hundreds of creators and publishers in the big hall. 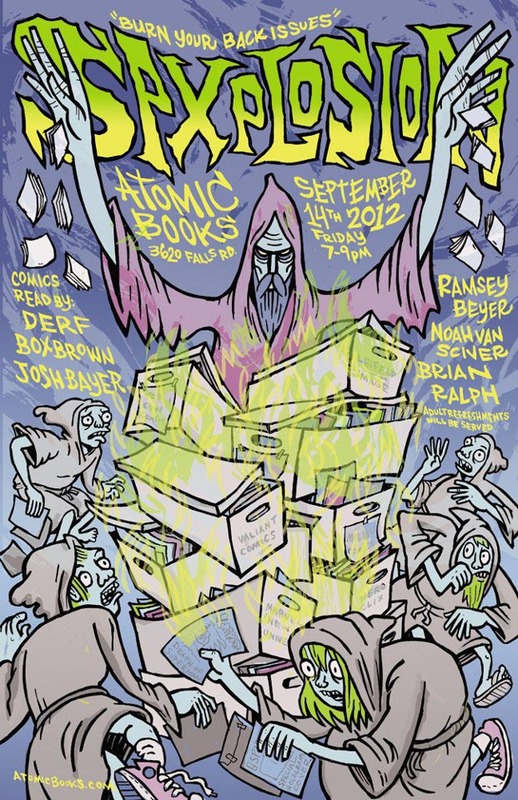 The evening before SPX opens, I'll be up in Baltimore at Atomic Books for the SPXPLOSION! I"ll have a short presentation, along with five other notable creators, including the fantastic Box Brown and the stream-of-consciousness superpunk Josh Bayer. Fans will be greeted. Books will be signed. Adult beverages will be served. This the blog for the critically acclaimed, graphic novel MY FRIEND DAHMER by Derf Backderf. Published by Abrams Comicarts. This is the blog for comix creator DERF BACKDERF, author of the graphic novels "Trashed", "Punk Rock & Trailer Parks" and the international bestseller "My Friend Dahmer."